A Note on Image Credits: All images and videos are, to my knowledge, created by and property of Blizzard Entertainment, save for one image which is property of Paramount Studios. 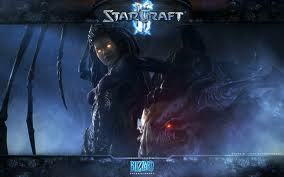 Starcraft 2: Wings of Liberty is a real-time strategy video game produced by Blizzard Entertainment. It is the first of a trilogy of games to comprise the Starcraft 2 franchise to be released by Blizzard (the second, Heart of the Swarm is in development and is expected to be released in the not-too-distant future). I should like to provide in this post my review of Wings of Liberty. It having been over a year since the game was released, I assume anyone who really wanted to has played it through, and feel no compuction about providing plot spoilers (if you haven't played the game, want to, and care about being spoiled, then read no further). Starcraft 2 follows the continuing struggles of three species: Terrans, human beings descended from colonists sent from Earth to a distant sector of the Galaxy; Protoss, a mysterious species of physically-strong, psychically-gifted and technologically-advanced beings, and Zerg, an aggregate of genetically-modified creatures collected in a hive mind called the Swarm which indulge in consuming, absorbing, or destroying other beings. this is, and the first two don't count. Players control one or more of these species in single- or multi-player games, trying to accomplish varying objecties or simply defeat the forces of other players. To play, players manipulate combat units which they produce at bases which they must build up and manage. Players collect and spend resources to build units and structures. These combat units are moved around a map in which players operate in a fog of war and in real time, without the benefit of taking turns or otherwise getting extra time (e.g. by pausing play) to make decisions. Players win when the units they manipulate achieve victory conditions or defeat opponents. I shall have more to say on these mechanics below. 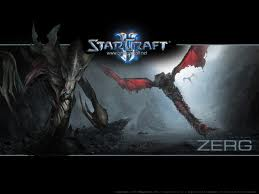 Both the Protoss and the Zerg were created or modified by an ancient progenitor species called the Xel'Naga. When the Protoss discovered the existence of the Zerg, they recognized the link; all the same they decided that destroying the Zerg was necessary. 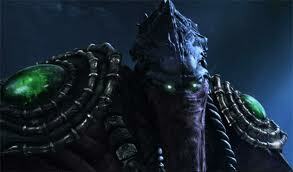 For their part, the Zerg, controlled by an entity known as the Overmind, sought to absorb or destroy the Protoss. This was the result of overriding programming inserted into the Overmind, programming which the Overmind sought to overcome or get around, but could not contradict. The Zerg, then, sought to absorb into their aggregate species with sufficient psionic potential to overcome the Protoss' advantages and allow the Swarm to take the fight to the Protoss. In the meantime, in an interstellar version of penal transportation, convicted criminals from Earth were shipped to the distant Koprulu Sector on large sleeper ships. These humans came to call themselves Terrans. They formed a number of competing polities, of which the most significant at the beginning of Starcraft is the Terran Confederacy. ... Okay, he didn't have anything to do with it. The Zerg, having discovered the Terrans of the Koprulu Sector, begin invading and infesting Terran-settled worlds in seek of suitable Terran specimens. The invading broods were followed closely by a Protoss expeditionary force seeking to obliterate any trace of Zerg activity. One such world, Mar Sara, was left to the mercy of the invading Zerg by the Confederate authorities. The Mar Sara colonial magistrate and his marshal, one James "Jim" Raynor, end up cutting a deal with an insurgent group known as the Sons of Korhal, led by Arcturus Mengsk. 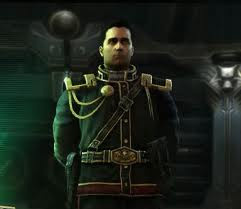 In exchange for Raynor's & the magistrate's allegiance and assistance, the Sons of Korhal would evacuate the colony. 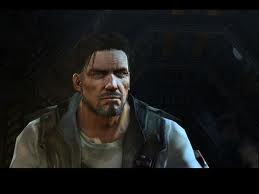 While working with the Sons of Korhal, Raynor becomes close with (and develops strong feelings for) Mengsk's second-in-command, a former Confederate Ghost (psionically-gifted special forces operative) named Sarah Kerrigan. They work together to help another colony, Antiga Prime, throw off Confederate rule, and assist Mengsk in turning a high-ranking Confederate officer, Edmund Duke, to serve the Sons of Korhal (by rescuing him from invading Zerg, as Raynor & the Mar Sarans had been recruited). The Sons of Korhal discover that the Confederacy has experimented on Zerg and has developed a device, called a Psi Emitter, which broadcasts a simulated Ghost neural signal across many light-years, designed to lure Zerg to the source of the emissions. Seizing this technology, the Sons of Korhal use it (perhaps reasonably) to break a Confederate blockade of Antiga Prime. The Confederacy, weakened and distracted by the invading Zerg and Protoss, was left vulnerable, and the Sons of Korhal, with their new ally, were able to advance upon the Confederate capital world of Tarsonis. Mengsk ordered the placement of psi emitters, luring countless Zerg to Tarsonis, resulting in the slaughter of millions (perhaps billions?) of Terrans and the collapse of the Confederacy. Mengsk's complicity was subsequently covered up. When the Protoss arrived to attempt to destroy the Zerg, Mengsk ordered Kerrigan to the surface to fend them off; once this was accomplished, he abandoned her to the tender mercies of the Zerg (the video shows the in-game ending of a mission in Starcraft and a cinematic portrayal of the same sequence in Starcraft 2). In the aftermath of these events, Raynor lead a defection from the Sons of Korhal, forming a rebel group called Raynor's Raiders. 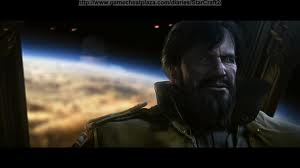 For his part, Arcturus Mengsk declared himself emperor of a new Terran Dominion and established centralized control over the shattered former Confederacy and its neighbours. On Tarsonis, the Zerg Swarm fended off continued Protoss attacks while guarding a mysterious chrysalis; when it was sufficiently matured the Swarm relocated to the tectonically-active (e.g. volcanic) world of Char. The Zerg then dealt with Protoss and Terran attackers while the chrysalis nurtured and then hatched, revealing that Kerrigan was not dead, but instead transfigured into a unique and powerful Zerg/Terran hybrid. 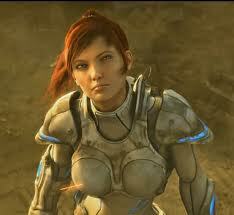 Sarah Kerrigan, new and improved. After an attack by the Protoss that had rendered it temporarily catatonic, the Zerg Overmind recovers, now with the knowledge of the location of the Protoss homeworld, Aiur. With this knowledge in hand, the majority of the Swarm leaves Char to launch an invasion of Aiur while Kerrigan and the rest of the Zerg remain to track down and destroy stranded Terran and Protoss forces (among them Raynor and his Raiders) left on Char. In response to the stress of the Zerg invasion, a rift developed between Protoss serving the tradition-bound Conclave (the Protoss leadership) and the high templar Tassadar, who had been in command of the Protoss expeditionary forces dedicated to destroying the Zerg. While on Char, Tassadar had consorted with Dark Templar, an outlaw caste of Protoss who had long ago been exiled from Aiur, and he and his allies argued that because the Dark Templar alone wielded the energies required to permanently slay the Overmind and the intermediate controllers of Zerg broods, cerebrates, it was necessary for the mainstream Protoss to work with the Dark Templar to end the invasion of Aiur and destroy the Overmind. High Templar Tassadar. But I bet you already knew that. Despite the invasion, the Conclave sent a task force to Char to apprehend Tassadar; instead this force joined with Tassadar and rescued him, several Dark Templar, and Raynor from Char. Upon returning to Aiur, Tassadar's allies engaged in a violent struggle resulting in the overthrow of the Conclave. With this done, the Protoss and Raynor's Raiders slew several cerebrates and then struck at the Overmind itself. 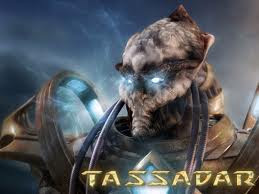 In the end, to slay the Overmind, Tassadar sacrificed himself, chanelling both the energies wielded by the Protoss high templar and the dark templar. The Brood War was a civil war within the Zerg Swarm, with Kerrigan on the one hand and several aggregates of Zerg cerebrates on the other, to determine who would ultimately control the Swarm. Within that context, there were two major events which impinged upon the Swarm's internal conflict: the Protoss flight from Aiur and an invasion by humans from Earth. While the Overmind was destroyed, the Zerg continued to run rampant and uncontrolled on Aiur; such Protoss as had survived the invasion were forced to flee to the mysterious world settled by the Dark Templar: Shakuras. Unfortunately for the Protoss, several Zerg broods followed them there. To purge the Zerg from Shakuras, the Protoss found themselves forced to ally with Kerrigan, now the self-styled Queen of Blades, as she sought to assume control over the rest of the Swarm. The Protoss collected two artifacts from distant worlds with Kerrigan's assistance and (temporarily) disabled a nascent neo-Overmind, then used the artifacts to activate a Xel'Naga temple to wipe Shakuras clean of Zerg. In the meantime, the humans of distant Earth had by now renewed their interest in the distant colonies and, with the discovery of the Protoss and Zerg, had determined to take control of the Koprulu Sector. 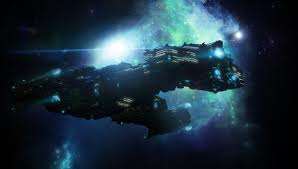 To that end, they dispatched an expeditionary force to bring the Terran factions in the sector under heel, pacify the Zerg, and subdue the Protoss. ... and his second-in-command, Stukov. The expedition survived the sabotage efforts of Samir Duran, a mole planted by Kerrigan among Confederate resistance groups, and succeeded in conquering the Dominion and, through the use of a technology called the Psi Disrupter, neurochemicals and psionically-gifted humans, seized control over the nascent second Overmind on Char. To counter this menace, and complete her ascension as sole ruler of the Swarm, Kerrigan made alliances of expedience with Raynor, the Protoss, and even the subjugated Dominion to destroy the Psi Disrupter and liberate Korhal. She broke these alliances shortly after while coercing the Dark Templar Zeratul to slay the new Overmind. With this done, Kerrigan had come into her own. She and her Swarm fended off a three-pronged assault by the Protoss, Mengsk, and the UED, pursued and annihilated the rest of the UED expedition, then returned to Char as the most powerful force in the Sector (if not the Galaxy). After four years rooting around the margins of the Terran Dominion and the Koprulu Sector, Jim Raynor is back on Mar Sara and he's had enough. The time has come to re-start his campaign to oust Arcturus Mengsk from power. In my estimation, the single-player campaign in Starcraft 2: The Wings of Liberty is one of the best single-player computer games ever, in terms of storyline, gameplay, mission design, and customizability. In The Wings of Liberty, the player takes on the role of Jim Raynor as he gets back into the swing of things with his rebel group, Raynor's Raiders. The storyline unfolds in sets of related missions, four of which are compulsory (i.e. the player must complete these four mission groups to complete the game), and three others of which are optional (the player may complete all, some, or none of them to complete the campaign). The action begins on Mar Sara, with Raynor deciding to get back into the swing of things and re-starting his rebellion against Arcturus Mengsk. He is interrupted by the arrival of an old friend from his past: Tychus Findlay, with whom Raynor had been partners-in-crime many years ago. Tychus claimed he had been broken out of prison with the help of a sponsor, the Möebius Foundation (although the video which opens the game suggests otherwise, of which more later), as they were interesting in collecting Xel'Naga artifacts of which the Dominion had recently forbade private collection or trafficking. 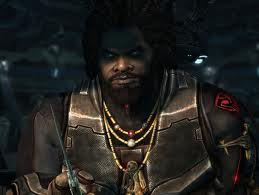 Tychus Findlay, all-around awesome badass mo-fo. Tychus Findlay leaves prison. Sort of. Tychus strikes a deal with Raynor. Old friends, together again. It transpires that one of the artifacts is located on Mar Sara being unearthed by the Dominion. Raynor, Findlay, and Raynor's forces scatter the Dominion and claim the artifact for themselves. Just as they are preparing to leave, the Zerg invade Mar Sara. Raynor and Findlay hold out against waves of Zerg attackers until one of Raynor's confederates, Matt Horner, arrives on the battlecruiser Hyperion to pick them up. Horner informs them that the Zerg have launched a massive invasion across the entire sector, which Raynor interprets as being a final push to annihilate humanity in the Koprulu Sector. Kerrigan is also after the artifacts - indeed, the Zerg invasion appears to be about hunting them down by brute force, rather than about conquest. Eventually the Zerg offensive peters out once Kerrigan concludes that Raynor has them and she won't be able to find them. The artifacts themselves are components of a single device, created by the Xel'Naga, which, while having no effect on Terrans, can be lethal to both the Zerg and the Protoss when activated. The Möebius Foundation is secretly patronized by Valerian Mengsk, the son of Arcturus and heir to the throne of the Dominion. Valerian intends to use the Xel'Naga device against the Zerg at their primary hive clusters on Char, and he suggests an alliance of expedience with Raynor to accomplish this. Valerian believes that the artifact can de-infest Kerrigan, at least partially, and uses the possibility ot reclaiming her humanity as an angle to keep Raynor motivated to (a) complete collecting the artifacts, and (b) assist in the invasion of Char. While the artifact collection is underway, the Protoss dark templar Zeratul boards the Hyperion and confronts Raynor, telling him Kerrigan must survive. Zeratul gives Raynor some sort of memory device which allows Raynor, when using it, to observe Zeratul's recollections. Since his encounter with Duran and the Protoss/Zerg hybrids (as described above), Zeratul had spent some time searching out and attempting to make sense of a prophecy foretelling the return of the Xel'Naga. The first stages of Zeratul's recollections. The directive planted in the Overmind to destroy the Protoss is the work of an agent known as the Fallen One (or Dark Voice), which appears to be some sort of Xel'Naga. The Fallen One crafted the Protoss/Zerg hybrids to control the Swarm, complete the destruction of the Protoss, and ultimately to destroy all living things and remake the Galaxy in its image. The Overmind had a vision of the future showing the final stand of the Protoss against the Fallen One's minions; after the last Protoss are slain, the Fallen One uses the hybrids to destroy the Zerg (and themselves at the same time). Thus all is lost in the darkness of the void. To avoid this fate, the Overmind infested Kerrigan with the aim of transforming her into the Queen of Blades and prevent the hybrids from controlling the Zerg. It is this fate which Zeratul sought to avoid by sharing his memories with Raynor. Once all of the artifact pieces are assembled, Valerian, having commandeered Dominion general Horace Warfield and at least half the Dominion battle fleet, meets up with Jim Raynor at Char. Their conference is interrupted first by Arcturus, angrily demanding to know what is going on, and - more ominously - by a massive Zerg attack. The would-be invasion of Char and the Zerg response. Raynor's Raiders succesfully establish a landing zone on Char, while the majority of Dominion landings are destroyed, else scattered and threatened by Zerg attackers. Raynor and his forces relieve several Dominion positions from Zerg attack and then rendezvous with Warfield's command. Raynor and Warfield establish that some portion of the Zerg defences - either their Nydus (tunnelling) Worm network or their primary aerial nest would have to be disabled in advance of the attack on the primary hive cluster: the player is forced to choose between these two given the depleted forces available. Whichever is chosen, the coalition forces assemble at the primary hive cluster to safeguard the Xel'Naga artifact while it powers up, and are forced to fend off waves of Zerg attackers, including either constant surprise attacks from Nydus worms or waves of aerial attacks, depending on the player's choice. As the artifact nears full charge, Kerrigan herself takes the field against the coalition. Once the artifact is fully-powered, it is engaged, obliterating all the nearby Zerg and their structures. The campaign ends with Raynor leading a team into the caverns to find a de-infested Sarah Kerrigan (with a violent surprise from Tychus) and Raynor carrying her out into the sunrise (set?) of Char. 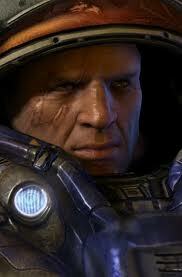 As previously noted, Raynor and his Raiders are engaged in rebellion against Arcturus Mengsk and the Dominion. The Raiders discover that the Dominion is excavating something valuable on Tarsonis, the ruined Confederate homeworld. Intercepting the shipments, the Raiders seize an old Confederate adjudant AI. Upon decrypting the adjutant, they discover that it contains a recording of Mengsk's crimes on Tarsonis (to whit, summoning the Zerg to slaughter the citizenry and crush the Confederacy). A plan is hatched to discredit Mengsk by broadcasting the recording throughout the Dominion. To that end, the Raiders manage to hijack a new Dominion super-weapon, the Odin and use it to secure the Universal News Network facilities on Korhal long enough to execute the broadcast. 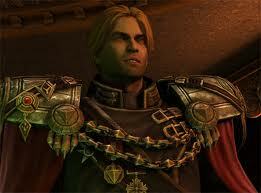 The end result is that Arcturus Mengsk is left with a horrible reputation and popular revolts break out sector-wide. While Mengsk remains in power by the end of the game, it remains an open question for how long this will last. The Zerg attacks and the Dominion response leave millions, perhaps billions, at risk. While Raynor and company are unable to rescue them all, they are in a position to rescue colonists, led by scientist Ariel Hanson, from the fringe world of Agria. The Raiders shuffle the colonists first to Meinhoff, which had become a vast impromptu refugee camp, and then to a remote world, Haven, on the border of Protoss space, when Zerg infestations broke out on Meinhoff. 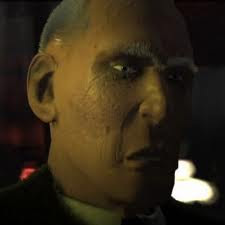 Over the course of the campaign, Dr Hanson comes as close as the game allows to being a romatic interest for Raynor - leaving aside his unresolved feelings for Kerrigan, of course. This plotline comes to a head when evidence of Zerg infestation emerges on Haven and the Protoss come to call, insisting on purifying (read: vapourizing) the infestation (and hence the colonists). 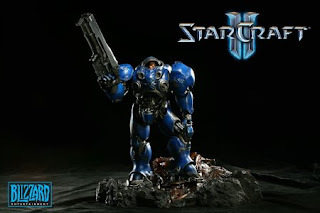 Raynor must choose to either side with the colonists against the Protoss, buying Dr Hanson time to research a treatment for the Zerg infestation, or to side with the Protoss, wiping out infested colonies and rescuing clean colonies from Zerg attacks. 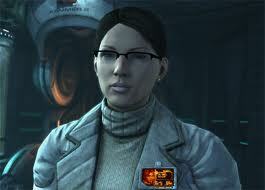 Suffice it to say, the choice decides how things shake out between Raynor and Dr Hanson, although in either case she does not reappear in the campaign once this set of missions is over. A former Ghost named Gabriel Tosh recruits Raynor to help him gather a large quantity of mineral resources containing a special substance called Jorium, and an unusual gas resource called Terrazine. The Raiders must fend off Zerg and Protoss to gather the resources. The Dominion Ghost operative, Nova (originally meant to be the star of a Starcraft game which ended up cancelled during development) contacts Raynor shortly before Tosh convinces him to stage a mass breakout at the prison planet of New Folsom. 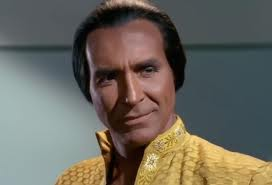 Nova tells Raynor that Tosh and his associates are trying to re-start a cancelled Dominion programme to improve Ghosts into agents called Spectres and that Tosh himself was part of the original programme. Nova warns that the Spectres housed in New Folsom, whom Tosh wishes to break out, are there because the process of enhancement drove them violently insane. Raynor must choose between helping Tosh break open New Folsom, or helping Nova dismantle Tosh's nascent Spectre production facilities. All in all, on my view the storyline unfolds very nicely given the mission-based constraints of the game, with multitudinous cutscenes and cinematics driving the storyline forward in between missions. The one thing that I found less than impressive about the game's story was the relative lack of character development. With the apparent exception of Tychus Findlay (see this analysis if you can put up with some cussin'), most of the characters do not show much growth over the course of the campaign. One might go so far as to say that Raynor is most disappointing in this regard. 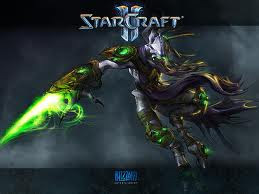 Starcraft 2 gameplay is, of course, derived from the original Starcraft game engine. While all RTS games have a similar structure, Starcraft and hence Starcraft 2 stand out in the genre (which is why Starcraft was one of the most popular video games in history). The most basic, and perhaps the most important, component of gameplay is resource management. Starcraft players must accumulate different resources to build the bases and military forces required to win games. The two resources are minerals and Vespene gas. Minerals are the primary resource, used to build basic structures and first-line units; Vespene is additionally required to build more advanced structures and units and purchase upgrades. Following resource management in importance is base management, including base expansion. Players must ensure they have sufficient unit-producing structures in play to out-produce their opponents and expand their logistical support (supply, or the Protoss or Zerg equivalents) to keep pace with their growing forces. As their initial base locations run short of resources, players must expand to additional base locations to collect more. Finally, players must usually also construct static defences to keep their resource collection areas and other base areas secure from enemy attack (or delay enemy attack sufficiently to allow their forces to repel the encroaching opponents). While not, strictly speaking, a part of the game mechanics, another key, basic element of gameplay is strategic decision making, which players must undertake early on in a game. Usually, strategic decisions involve the kind of unit production players will emphasize, hence deciding their mix of forces, as well as dictating the kind of tactics required to properly use them. Starcraft players usually aggregate strategic decision-making, resource management, and base management into a skillset called macro (for macromanagement), and seasoned veterans of the game often emphasize the importance of macro as a skill that new players (also known as newbies, or n00bs) ought to master. That good macro is a key foundational skill follows from the observation that players with stronger macro play will tend to prevail over opponents with weaker macro, on average, on account of being able to bring superior forces, in terms of quantity and quality (of both units and upgrades), to bear in any given engagement. Players operate in an environment of uncertainty in Starcraft 2 due to the fog of war. This mechanic means that areas not within the field of vision of a friendly unit or structure are 'greyed out' and enemy activity within is not visible. In single-player games areas that have never been explored are shrouded, meaning even the terrain is not visible. Therefore, an aspect of gameplay with which players must become proficient is scouting, to alleviate the fog of war and provide players with up-to-date information on enemy movements, enemy base configuration, and (if such can be divined from the first two) enemy intentions. Players must also contend with the urgency imposed by the real-time game mechanic. Players do not have the luxury of taking it in turns to make decisions, manage their bases or deploy their forces. Their opponents, whether computer-controlled AI opponents or other humans, will be working constantly (whether competently or no) building up their own bases and forces. The player who is too slow to make decisions or undertake action (such as, I am sad to admit, myself), will be quickly outstripped in terms of resource collection & production, map control, and manouevre. Perhaps the most complex element of gameplay is army (or unit) management. Players must manouevre their untis around the map to undertake reconnaissance, defend bases and expansions, deter or defeat opposing forces, and raid or assault enemy bases and expansions. When units are in combat, players must manage their positioning to maximize their damage output, cycle them in and out of active combat to preserve them, manage their activated special abilities, and minimize their exposure to vulnerabilities while seeking out and exploiting opposing forces' weaknesses. The final element of gameplay is multitasking. While not imposed by the mechanics of the Starcraft game engine, all of the above elements of gameplay suggest that players who are more skilled at multitasking will be able to better manage their resource collection and base management while simultaneously scouting areas of the map, moving their armies around as required, and fending off or attacking the enemy. Taken together, tactical-level gameplay skills such as scouting, decision-making in the real-time environment, unit management and multitasking comprise what is called micro (for micromanagement). To reach the top levels of competitive play, good players must be skilled in both macro, to ensure their war economies are running at full speed and churning out units en masse, and micro, to optimally use those units once they are on the map. Good gameplay skills on the part of players are not terribly important during the single-player game save for the later campaign missions and/or when playing at higher levels of difficulty. Good gameplay, however, does make the missions much easier to complete, rewarding skilled players and players who work to improve their gameplay. The combination of the pre-existing Starcraft gameplay mechanics, the Starcraft 2 tweaks and the mission design (of which more later) leads to a deep, rewarding play experience. One flaw commonly encountered in the original Starcraft single-player campaigns (including in the Brood War expansion) was that many of the missions could devolve, whatever the mission objectives, into long-haul slugging matches wherin the player would "turtle" early, build up massive forces (often in multiple waves if required), obliterate every enemy unit and base on the map, and only then get on with finishing the mission. In many cases, including in other RTS games (Warcraft 2 comes to mind in particular), the mission objectives simply were to annihilate all enemy forces, which in later stages of a campaign could be very time-consuming. Starcraft 2 ably avoids the sort of design flaw exposed above in its mission designs. Most primary mission objectives involve some sort of race against time or impose a time limit on the mission duration; other missions simply deny the player the resources to perform the turtle/build-up strategy; and many missions also give the enemy forces too many resources to be defeated save by accomplishing the primary mission objectives. Even plodding, methodical players such as myself can (or even must) complete the majority of missions within 15 to 30 minutes. The game also rewards fast, skilled play through the use of Achievements (of which more later). In addition, while a race against some sort of clock is the most common mechanism of forcing faster play, many of the missions with a race against the clock involve subtly distinct clock mechanisms: in one mission players race against Protoss forces to harvest Terrazine gas, in another they must destroy Möebius Foundation facilities before the Queen of Blades reaches them, and in yet another they must steal a piece of the Xel'Naga artifact before an advancing wall of flame (caused by a nearby stellar nova) obliterates everything. Finally, each mission usually has some unique mechanic or objective that sets it apart from the others, such as the player controlling a gigantic laser gun or the mighty Odin war machine, or racing to rescue Dominion forces during the landing on Char. Save for the Mar Sara and Char missions, which must be completed one after the other, players may undertake missions in the order of their choosing (with the additional constraint that missions in each mission group are completed sequentially). As almost every mission introduces a new unit, players' choices of missions allows them to customize the forces at their disposal in each new mission. Players can upgrade their units and certain base structures to provide additional advantages in combat at the Hyperion's Armoury. Players can select which units to upgrade and have a choice of upgrades of which they may choose one or all available upgrades for each upgrade-able unit. Players may also upgrade their forces by researching new technologies in the Hyperion's Laboratory. Players can research new units or structures or upgrades to existing units and structures. Players are presented with Protoss- and Zerg-related research trees which they accumulate points for during missions; reaching certain point levels allows upgrades to be selected. Finally, players may enhance their existing forces by purchasing mercenary units in the Cantina. Mercenary forces are elite versions of normal units and become available after their regular equivalents are unlocked during the campaign. Overall, the customizability is a nice feature; however compared to the customizability of, say a game such as World of Warcraft (where players can outfit different characters with the same suite of skills to play dramatically different roles) or to games such as the Diablo series, where the game generates different maps and items found as quest rewards or sold by retailers every time, the customizability does not offer a great deal of replay value. Overall, customizability is probably the weakest element of the Wings of Liberty campaign; however it still adds value to the single-player campaign. Players playing Starcraft 2 are logged into Blizzard's Battle.Net system. While logged in, they can play ranked and unranked matches, which use Blizzard's match-up system. The match-ups ensure that competitive games are, where possible, between evenly-matched players. I am not certain if unranked match-ups (e.g. free-for-all games or cooperative games against the AI) also attempt to match similarly-skilled players. At any rate, it usually means that players are not forced to either battle in vain against vastly superior foes, nor are they given the benefit of a turkey shoot against unskilled n00bs. To play competitively, players must play a series of qualification matches, either in solo or team play. After this is done, players qualify for a specific league. Once a player is placed in a league, winning competitive matches advances the player up the league tables, possibly even enabling a promotion to a better league, while losing games results in drifting down, even resulting in demotion to a worse league. There are a number of leagues into which players may be sorted upon completing their qualifier matches. Particularly skilled players can advance into the top-tier leagues: Diamond, Master, and ultimately, Grandmaster. Within each league, there are a number of divisions, and in each division there are a number of different ladders into which individual players are sorted. As a highlight of Starcraft 2 multiplayer, it is my opinion that the league/ladder system represents a very good means of organizing players who are attempting to engage in competitive play. Multiplayer gameplay is extremely well balanced, while providing players with a rich variety of gameplay options depending on their chosen race. The macro and micro considerations discussed previously all apply here, and indeed, come into their own in multiplayer. Terran forces offering strong defensive capabilities and, thanks to their medical & repair capacity, good durability as well. Zerg forces are fast and numerous but weak, with limited static defence capacity compared to the other races, and with tough decisions made when creating units from hatchlings. Protoss forces are very strong but not numerous. Each race has its own unique style of play and its own constraints on decision-making. Play balance is an ongoing process, with Blizzard often releasing patches to improve play balance over time. Blizzard has been working on balancing the original Starcraft since its release in 1998, making it one of the best-supported, most well-balanced games in video game history. The Achievement system in Starcraft 2 is a great way to get players to keep on playing, despite the relative repetitiveness of multiplayer games. As hinted at above, there is a set of Achievements for the single-player campaign, rewarding the player for skilled play and for attempting the campaign missions at higher difficulty levels. Achievements also provide rewards for winning increasing numbers of games, whether solo play against the AI, cooperative play against the AI, or competitive solo or team play. Achievements provide tangible (so to speak) rewards in the form of portraits, which become players' battle.net avatars (whether online playing Starcraft 2 or commenting on Starcraft fora), decals, which appear on players' units during games, and of course, bragging rights. If there is one element to Starcraft 2 multiplayer that I am not a fan of, it is the lack of LAN (local area network) play elements as all players are required to be logged in to battle.net. The original Starcraft allowed players to install lesser versions of the game, with no single-player campaigns and lesser functionality, on extra computers, for the purposes of LAN play. Setting up games on LAN allowed a number of players, all congregated in the same place (office, home, or other institution) to set up games solely involving themselves, whether cooperative play against the computer, or free-for-all or team play against one another. The seeming lack of this functionality, while not a deal-breaker, is, I think, a significant flaw in the game's multiplayer setup. With all the above said, Starcraft 2 is an excellent video game for the home computer, another success in the long list of outstanding Blizzard Entertainment titles, and I thoroughly recommend it for the total n00b and the veteran video gamer alike. Personally speaking, I am seriously looking forward to the next chapter of Starcraft 2, the Zerg campaign Heart of the Swarm.